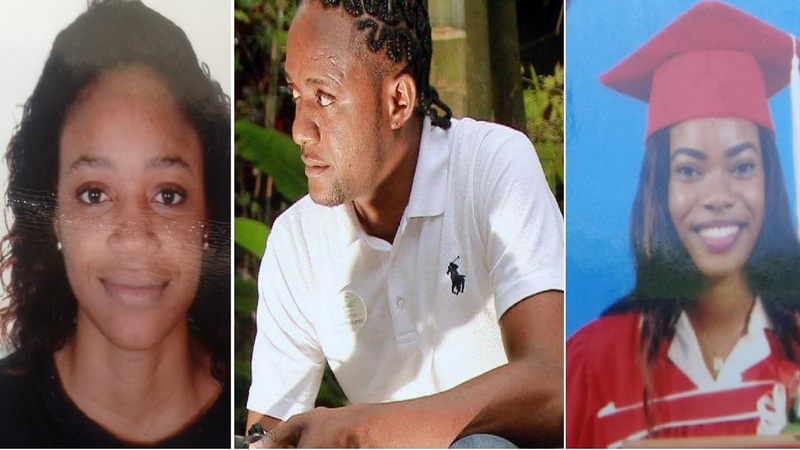 Three of the four victims of a two-bike crash in Sheffield, Westmoreland on Wednesday night. Left to right are Kadene Campbell, Everton Spence and Shakera Hawthorne. 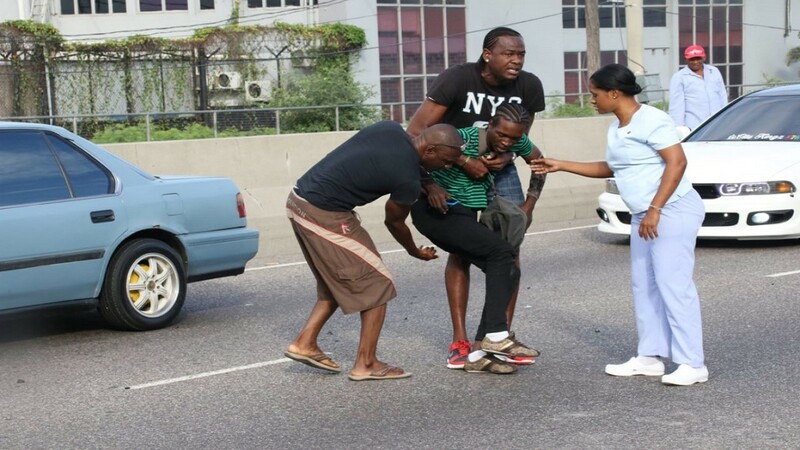 Four persons, including two females, died from multiple injuries they sustained in a two-motorcycle collision along a main roadway in Westmoreland on Wednesday night. 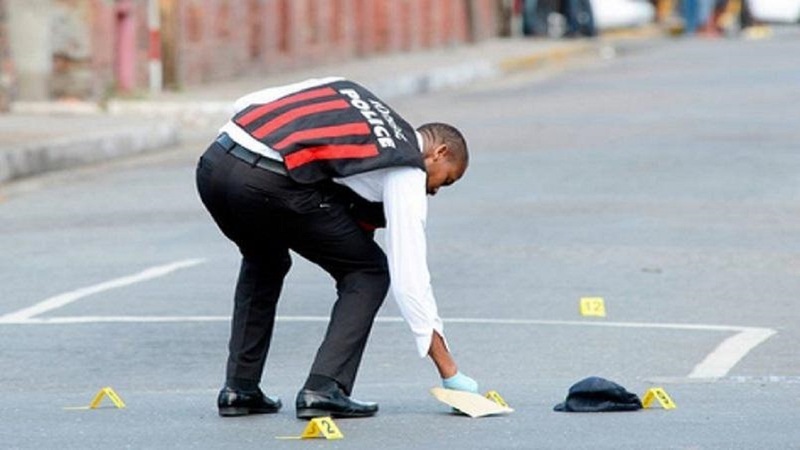 The deceased have so far been identified as Shakera Hawthorne, 21; Kadene Campbell, 20; and Ryan Robinson, 31, otherwise called ‘Force Ripe’, a local deejay, all of Whitehall district addresses in Westmoreland; along with Everton Spence, also 31, of Sheffield district in the parish. One of the bikes which were involved in the crash that left four persons dead in Westmoreland on Wednesday night. 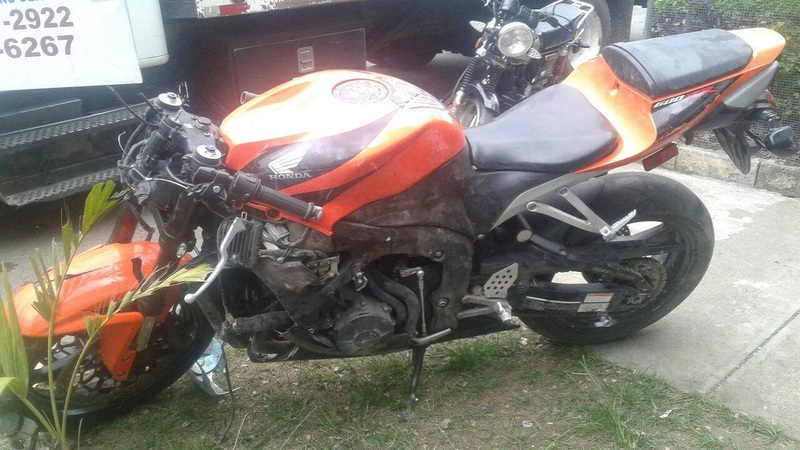 Reports are that about 9:30 p.m., the two motorcycles were being driven along the Sheffield main road in Westmoreland in opposite directions, when the driver of one was preparing to make a turn and was run into by the other motorcycle. 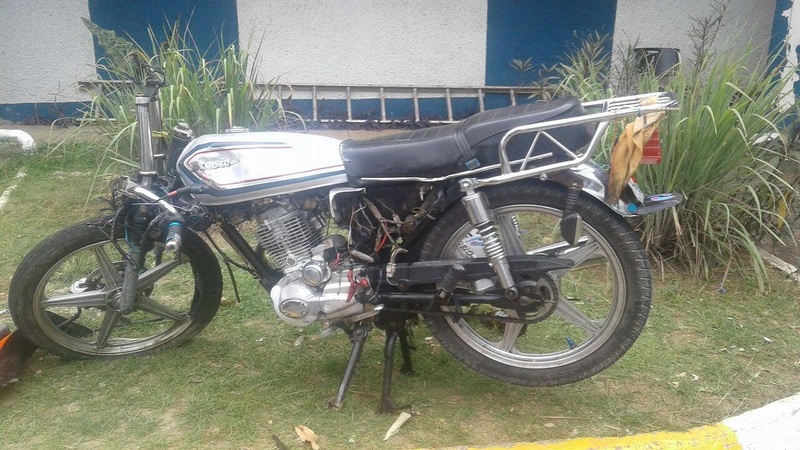 The second motorbike which was involved in the fatal collision in Westmoreland. With all of four deaths, there was noticeably little physical damage to either motorcycle. The drivers of the motorcycles and the two females, who were pillion riders on one the bikes, sustained multiple injuries and were taken to hospital, where they were all pronounced dead. The Westmoreland police are investigating in the incident.